Dr Rachel Chikwamba (Chair of the ACCESS Board) was appointed CSIR Group Executive: Strategic Alliances and Communication in October 2011. She manages the CSIR’s high-level partnerships and stakeholder interactions and associated communication. Dr Chikwamba joined the CSIR in December 2004 from Arizona State University, US, where she served as a postdoctoral research associate. She has served at various levels of science leadership and was a member of the CSIR Strategic Research Panel for two terms. Dr Chikwamba also championed the development of the CSIR Health Research Impact Area strategy. Prior to her appointment, she was Chief Researcher and Competence Area Manager at CSIR Biosciences where she was instrumental in facilitating major global alliances, which resulted in the transfer of key technologies and skills to the CSIR, and continue to result in collaborative projects and programmes. Her strong global networks also resulted in her role as CSIR principal investigator on several international research initiatives such as European Union Framework projects; the Gates Grand Challenge on nutritional fortification; NEPAD/Biofisa projects; as well as other large locally funded projects such as the GreenPharm initiative. 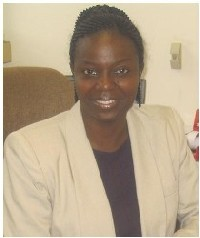 Chikwamba is a member of the Academy of Science of South Africa (ASSAf), where she served on various committees. As an expert in her field, she has served as a reviewer for several funding agencies, including the US National Science Foundation. She holds a PhD in Genetics from Iowa State University, US, as well as a Master’s degree from the University of Queensland, Australia. She has published highly cited scientific papers in high impact scientific journals. Chikwamba was also an Honorary Research Fellow at St George’s Hospital at the University of London, and has taught postgraduate classes at the University of Pretoria.